It's the first day of the new year but there are many things from the year 2012 that I need to blog about. 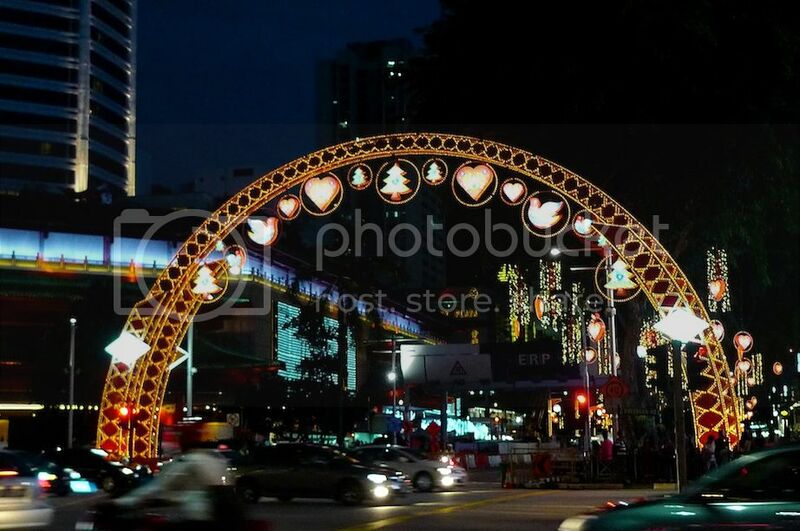 One of them is the Christmas decorations in Singapore! 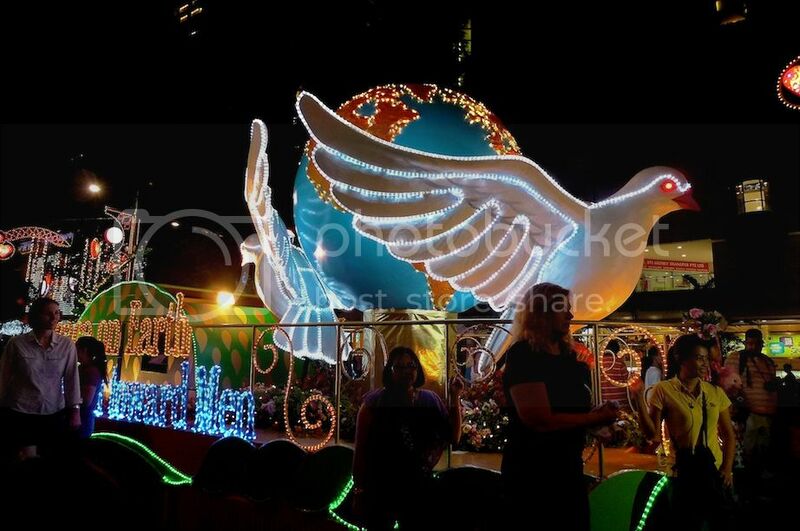 Perhaps you have read my posts on the Christmas decorations in Klang Valley in Malaysia, if not, please click on the links below. I have divided them into three parts. 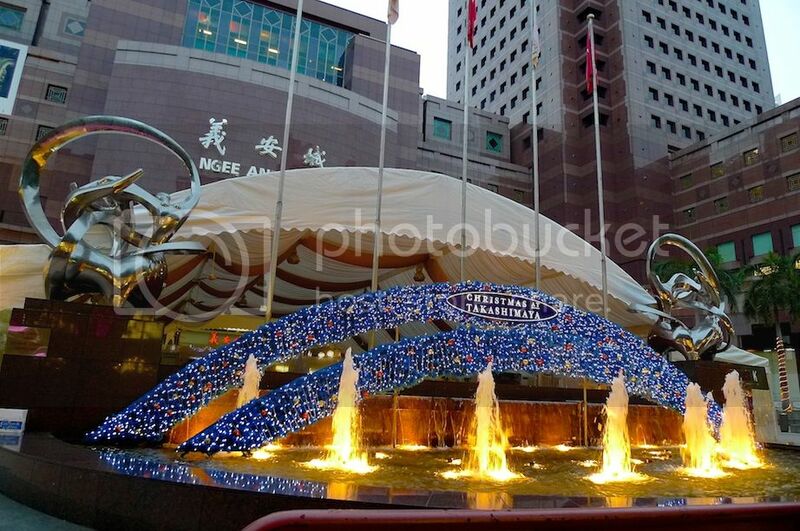 Last December, I went for a one-day visit to Singapore on Christmas Day, and took some photos there. 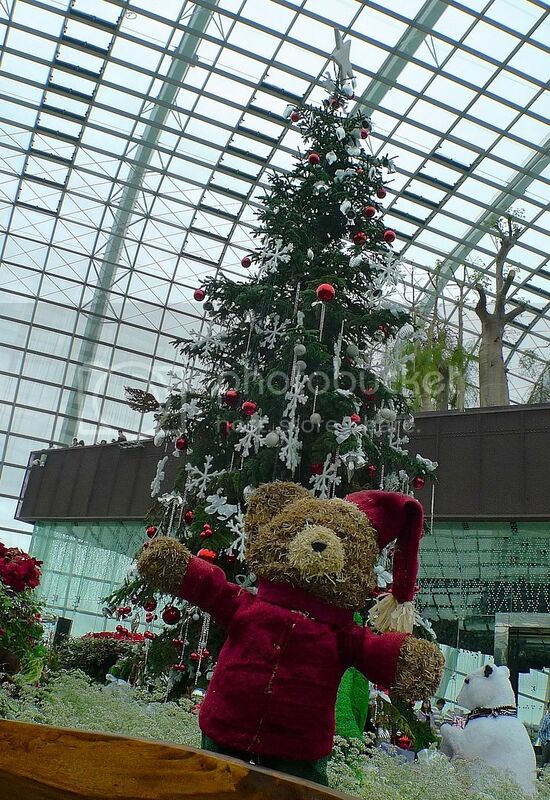 Below is a tall Christmas tree in the Flower Dome at the Gardens by the Bay. There are two cute bears at the bottom of the Christmas tree. 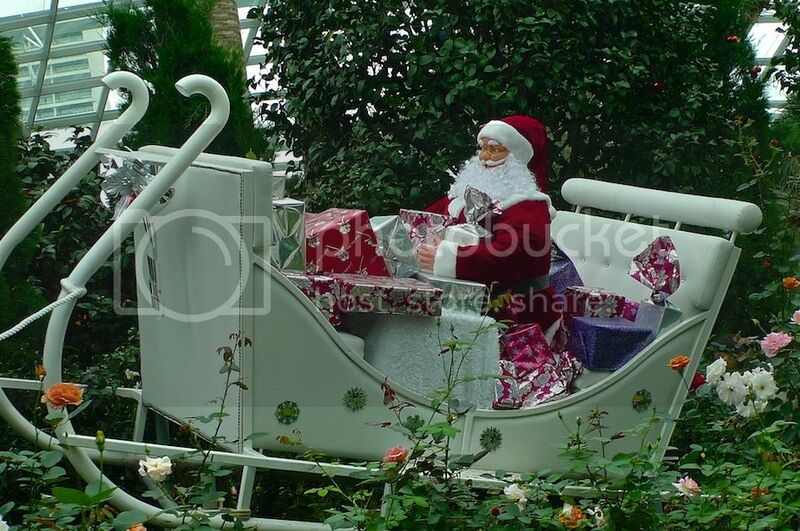 Nearby is Santa Claus riding on his sleigh. Oops! I forgot to take pictures of his reindeers! LOL! 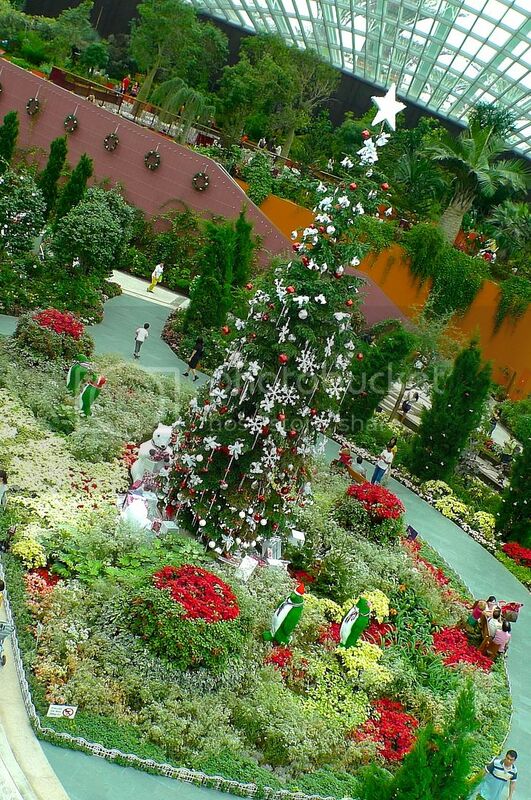 The Flower Dome is an amazing place and if you ever go to Singapore, you must give it a visit! 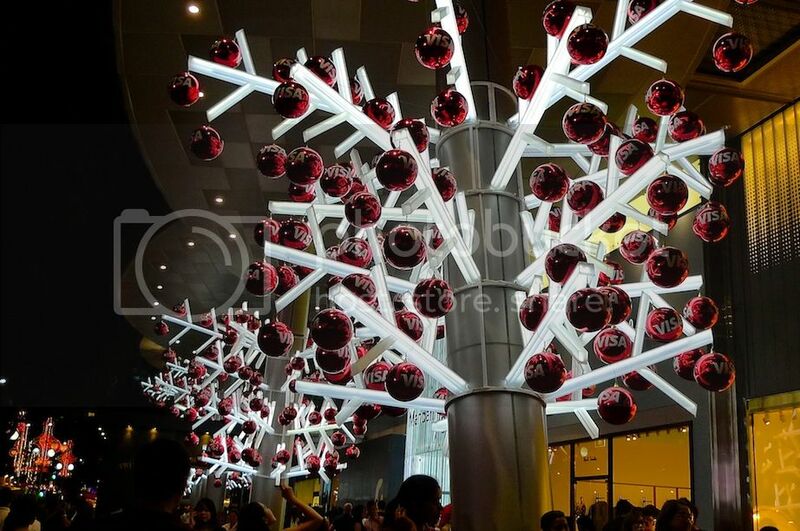 More about Flower Dome and Gardens by the Bay in future posts but for now, let's move on to another different type of Christmas tree I found at the ArtScience Museum at Marina Bay Sands. It is made from Lego bricks. 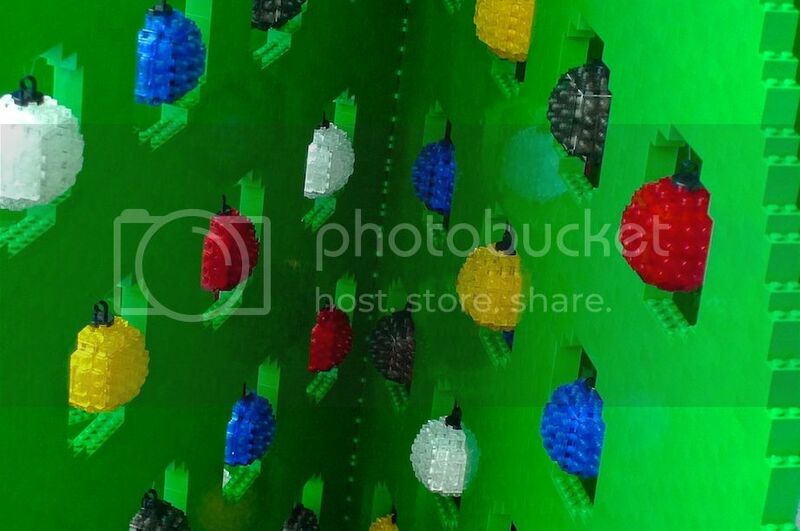 A Lego Christmas tree! 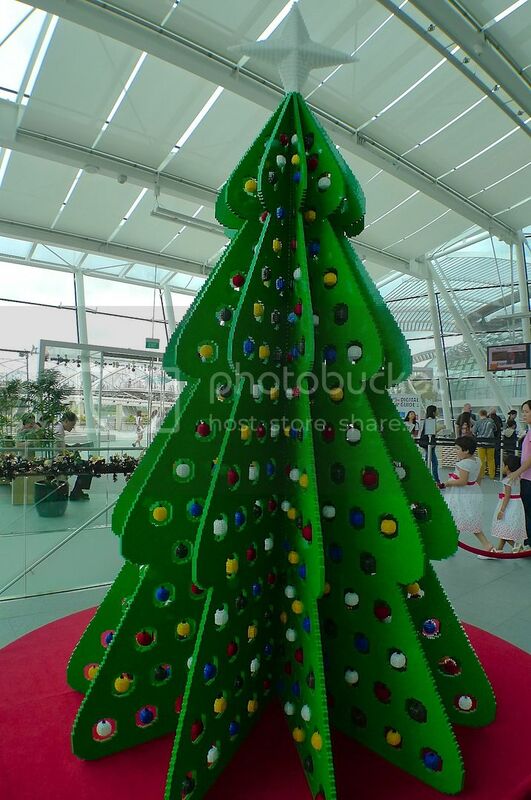 There is of course, a giant Lego Christmas tree across the causeway in Johor Bahru, or more specifically at Legoland, but that will be a story for another day! 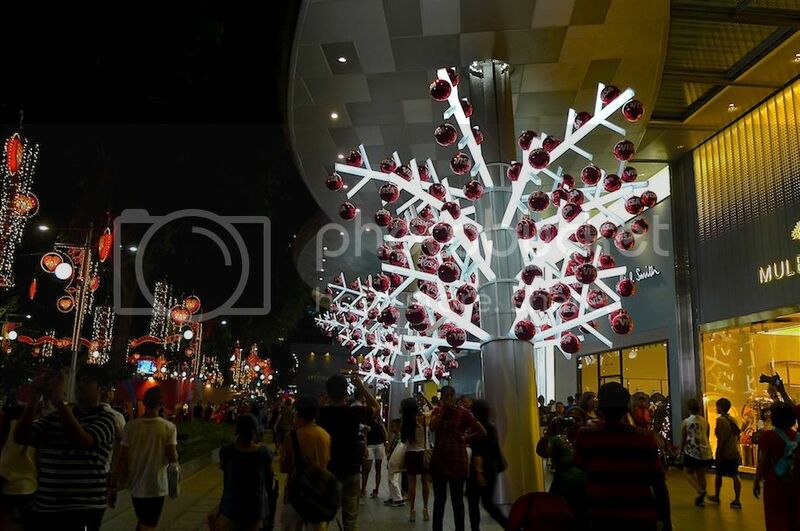 Orchard Road in Singapore has long been famous for its beautiful Christmas decorations, so I made sure I did not miss it during my trip there. 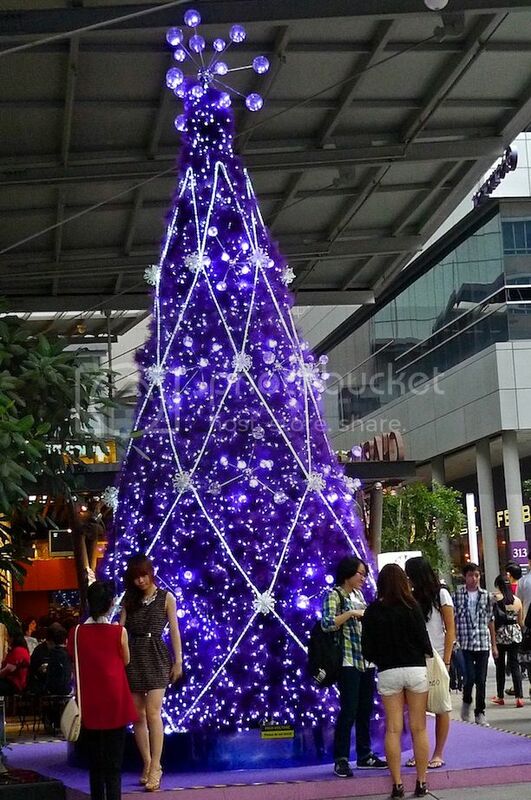 Above is a beautiful purple Christmas tree near Somerset MRT station. Below is a depiction of Jesus Christ. Pretty unique. 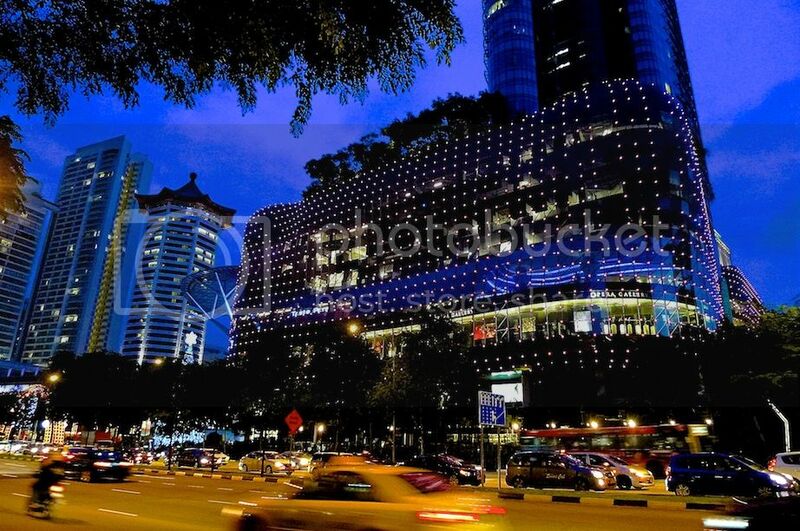 The crowds were huge at Orchard Road that night. I had a hard time taking pictures because there were just too many people blocking the view. 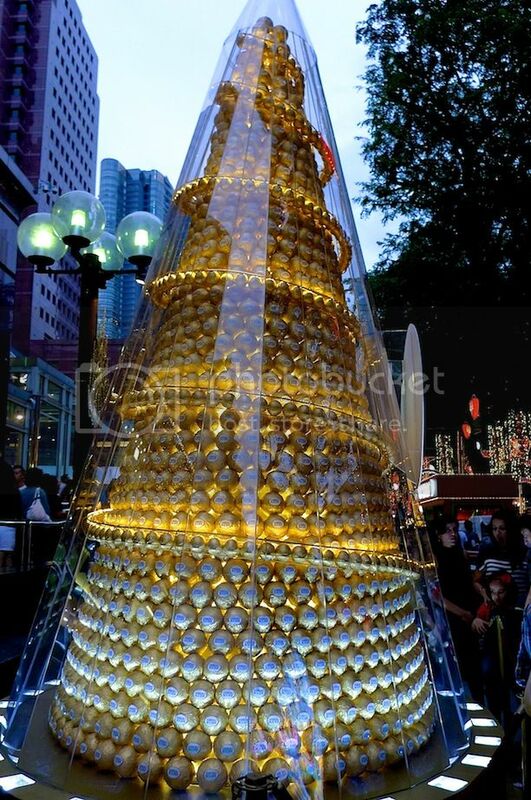 A Christmas tree made up of hundreds and hundreds of Ferrero Rocher chocolate balls! 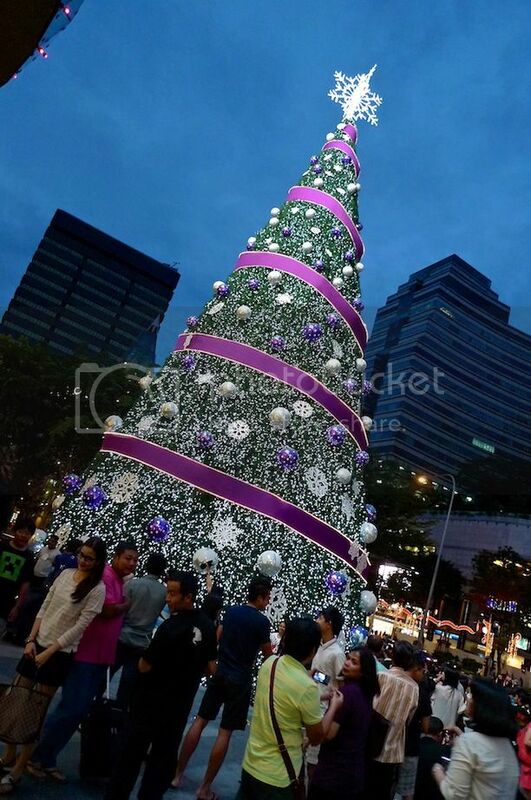 Another beautiful Christmas tree along Orchard Road. 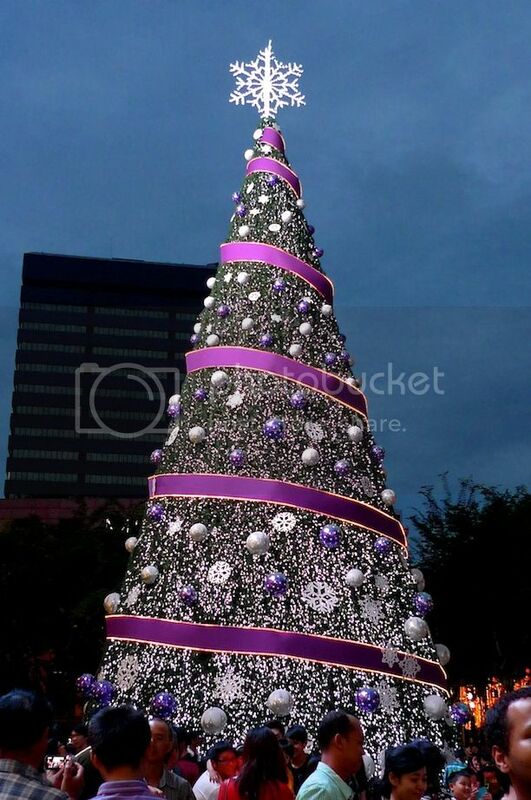 I love this Christmas tree. Nice color! 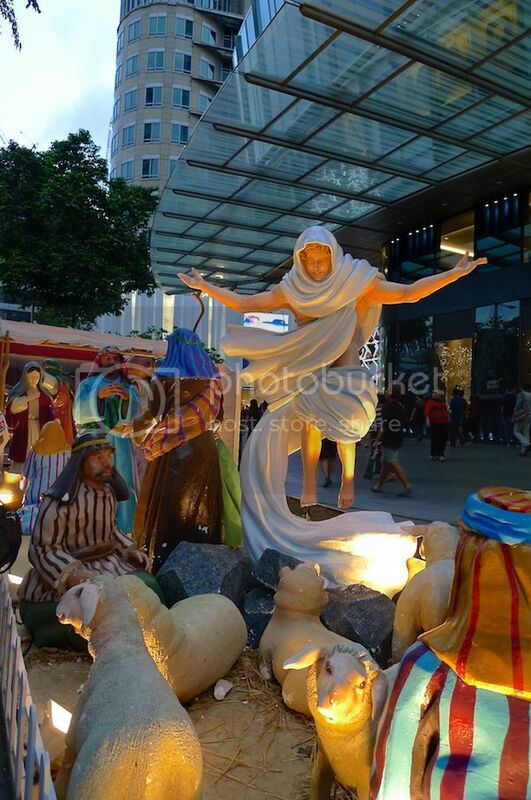 Evening scene during Christmas Day in Singapore. 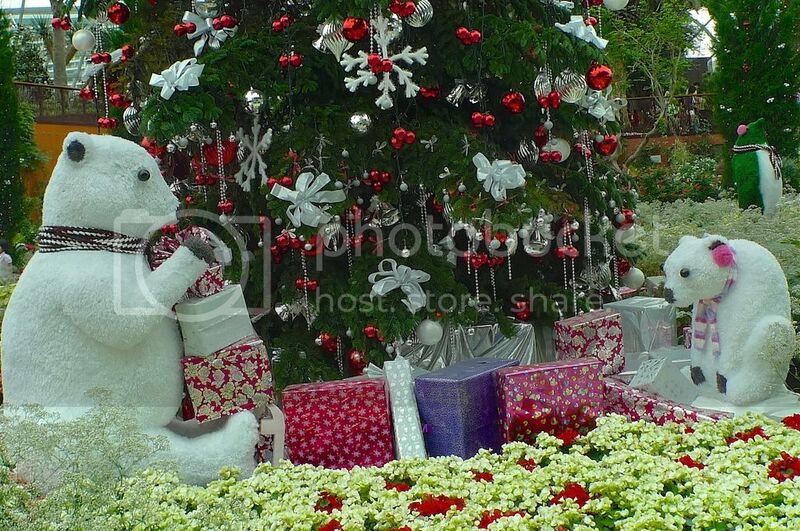 Some of the Christmas decorations found around the Orchard area. 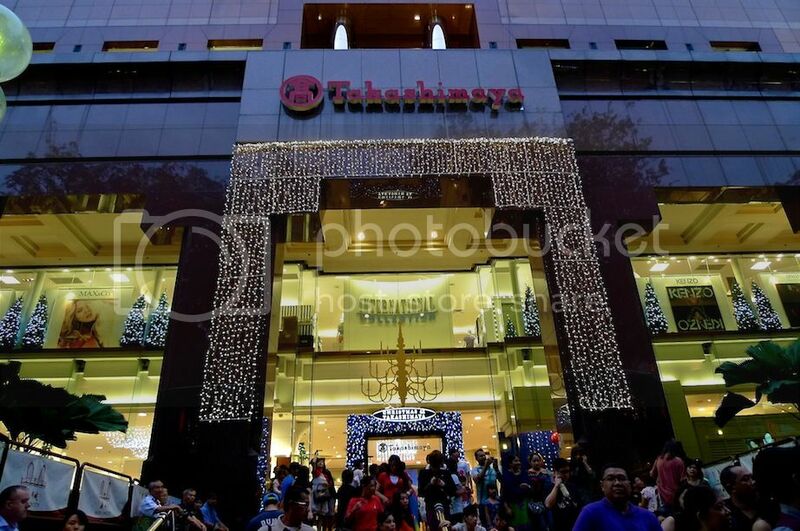 There were many parades along Orchard Road but I did not manage to take many photos because of the huge crowd. In fact, I did not have much patience waiting for the people to finish their photo-taking sessions. 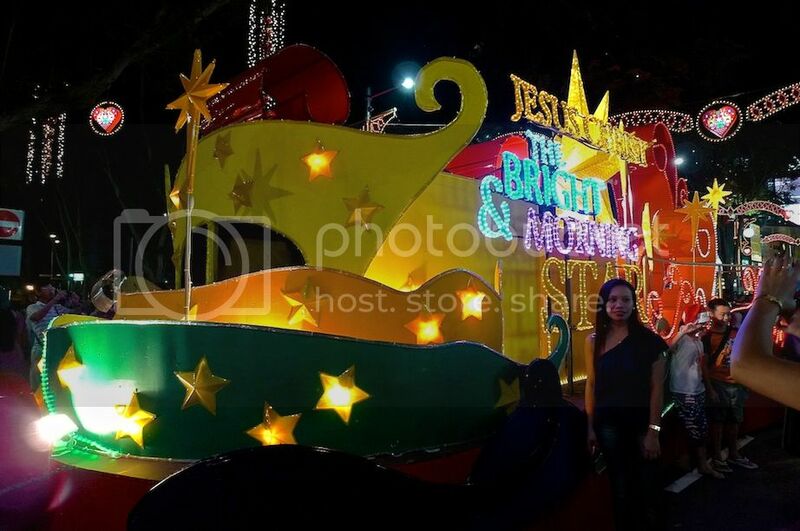 And besides, I was not really impressed with the decorations. They were OK but certainly not awesome. Pillars on this building were decorated with lights to make them look like trees with branches. On closer inspection, I found them to be VISA balls. LOL! 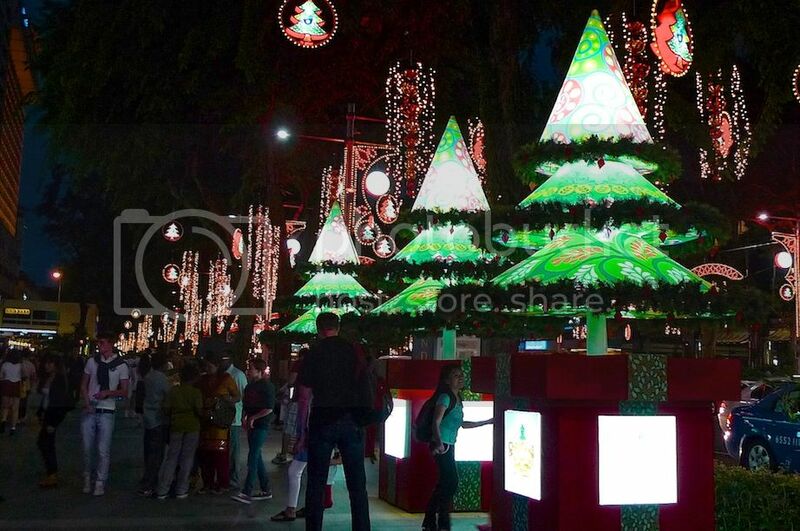 Pavement with beautifully lighted decorations. 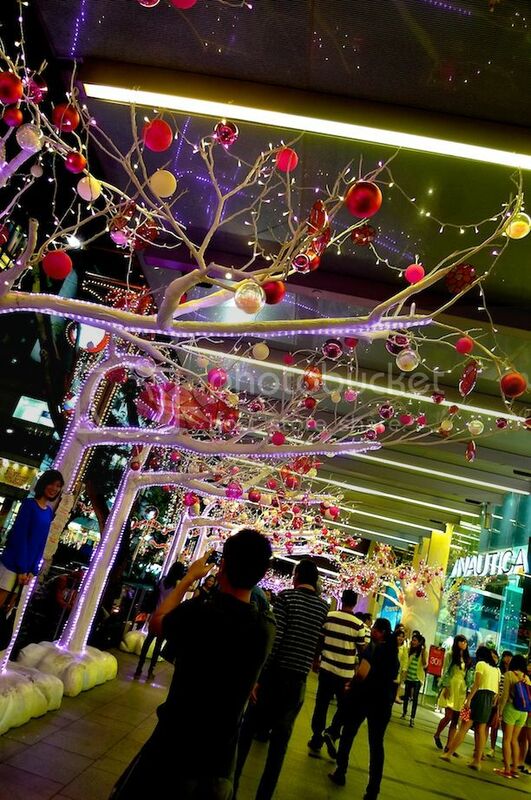 So which had better Christmas decorations last year - Malaysia or Singapore? 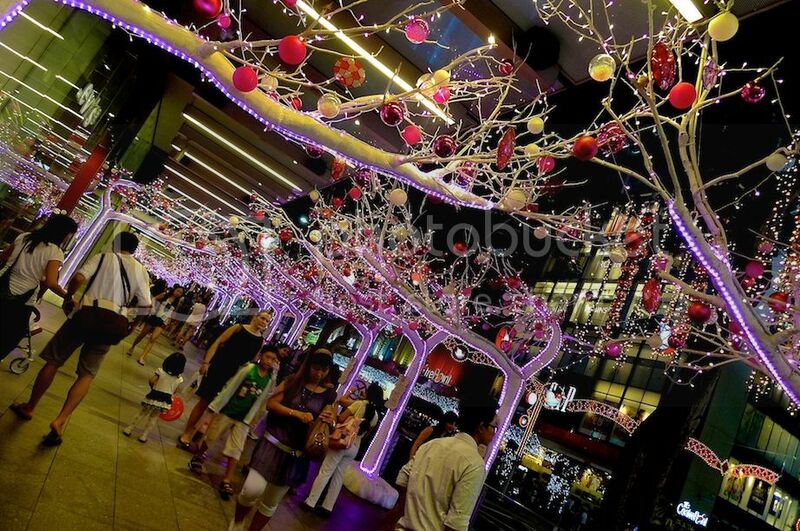 For me, it's Malaysia, especially the Christmas decorations in the Klang Valley region. What about you?